Powerful performance and unwavering control. 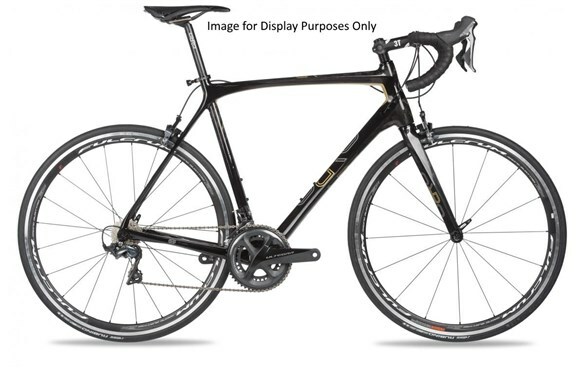 The hydraulic-disc equipped Orro Gold STC Disc Ultegra 8050 road bike is a master of the asphalt. The Orro Gold STC Ultegra Di2 8050 wears it’s Ultegra 2x11 speed groupset like a fine-tailored suit. The components complement the bike perfectly, with rapid electronic shifting delivering perfect gear changes every time you click, without fail. When the time comes to drop anchor and slow down, the flat-mount Shimano Ultegra RS805 hydraulic disc brakes carry ample stopping power and incredibly tactile braking control – you’ll never accidentally lock a wheel again. A sub-compact 52/36t chainset makes full use of the high speed & free-rolling Fulcrum R500 DB wheelset. Continental Grand Prix 25c tyres make light work of corners too, hugging every inch of the asphalt with minimal rolling resistance.